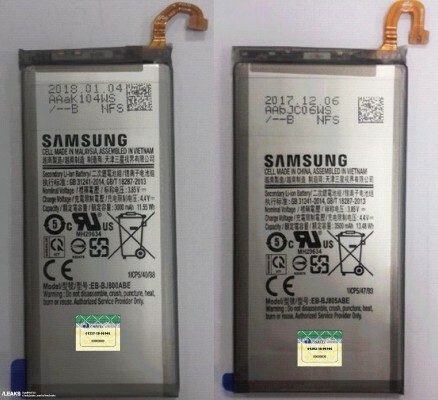 The Brazilian agency was right about the Galaxy S9 battery capacities, now it has published photos of batteries for the Galaxy J8 and J8+, aka J800 and J805. We’ve seen these in benchmarks with Snapdragon 625 and Exynos 7885, chipsets known for their efficiency rather than speed. The batteries in question are 3,000 mAh for the J8 and 3,500 mAh for the J8+, mirroring the capacities of the S9 duo. That’s 11.55 Wh and 13.48 Wh respectively. These will be the first Galaxy J8 models, the series previously topped out with the J7. There are other J-phones on way too. Of course, Samsung was busy launching the Galaxy S9 flagships, but now it’s free to focus on its affordable lines too.